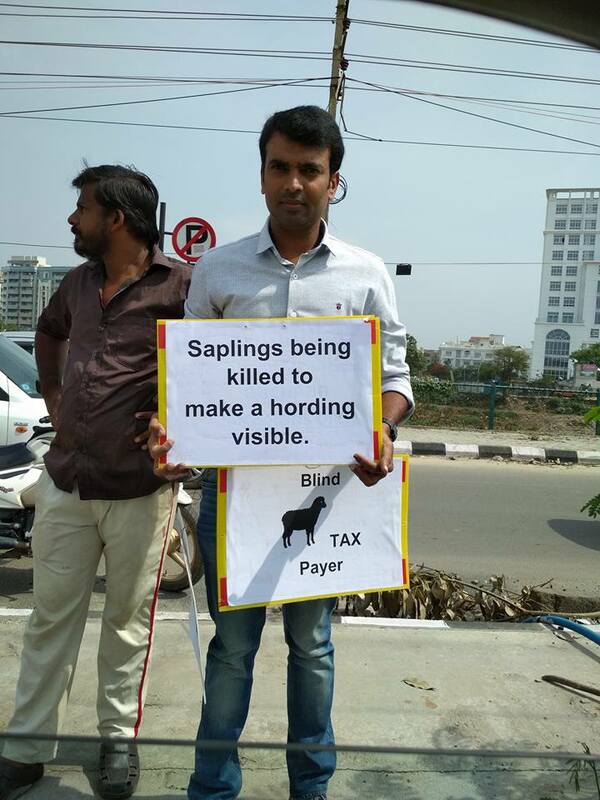 In A Shameful Act 24 Trees Cut In Bengaluru For The Visibility Of One Advertisement !! : Check What The Residents Did About It !! Residents of Bellandur were in for a rude shock to see 24 trees were chopped down in their area. 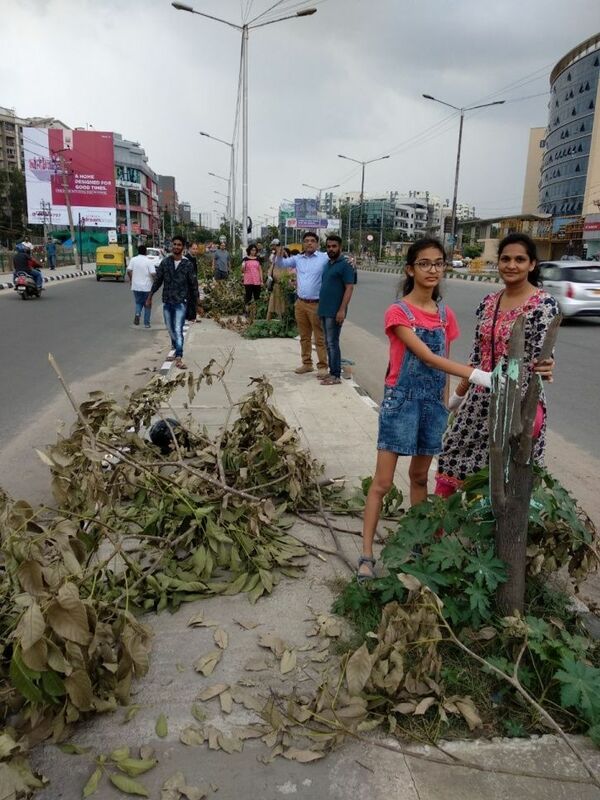 They suspect the trees in the median over a stretch of 500 metres near the skywalk on Bellandur Gate Road were felled by miscreants to give better visibility to advertisement hoardings nearby. This is said to be the fourth such incident in the recent past. 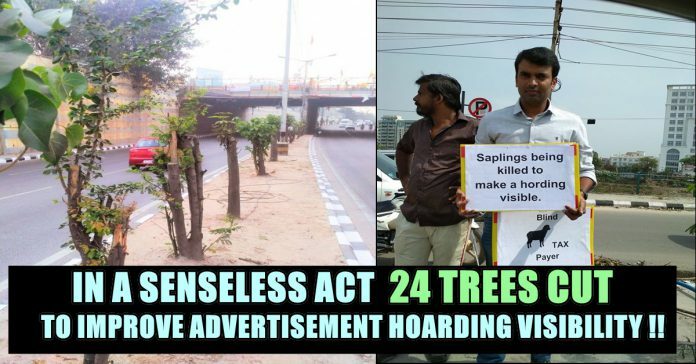 In yet another senseless and shameful act, about 24 trees were cut down to increase the visibility of an advertising hoarding of a builder in Bengaluru’s Bellandur. Three varieties of trees – Tabebuia, Pongamia oiltree and Pride of India— were felled. 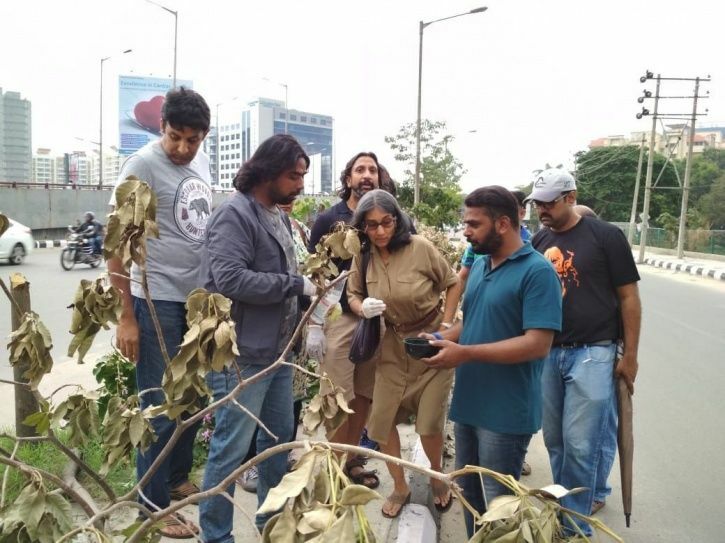 In a desperate bid to save stumps and salvage the chopped portions of the trees, residents along with environmentalist and tree doctor Vijay Nishanth applied fungicide to them on Sunday . “By applying fungicide on stumps as well as the bark, we can prevent infection on trees. They can grow again without any infection as they have good growth capacity,” said Vijay. The city, especially the same stretch of road has a long history of such acts in the past too, he added. But unlike in the past, this time around the locals say they have had enough of this vandalism of nature for corporate greed. Based on the complaint filed by residents the Municipal authorities on Monday brought down the hoarding which was illegally erected. They are also planing to take the builder on legally for their act. Nishanth who examined the trees said they can be revived and brought back to life. “There were a total of 24 trees which are aged around 2-3 year old, from three varieties – Tabebuia, Pongamia oiltree and Pride of India. The trees have been damaged, but not beyond repair. By applying fungicide on stumps as well as the bark, we can prevent infection on trees. They can grow again without any infection as they have good growth capacity,” he said. He also lauded the efforts of local residents, who came out in big numbers to protest the chopping of the trees. “This is not the first time threes have been destroyed here for increasing the view of hoardings. But this time, what is different is the attitude of the people. To my surprise a lot of them came out to protest against the act. 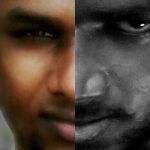 I see this as a positive sign,” Nishanth said. In the past, Nishanth has treated and revived trees which were cut and poisoned to make way for hoardings. The environmentalist who has been fighting such vandalism said at the Lokayukta, he will demand exemplary punishment for the builder to discourage other companies from committing such acts. 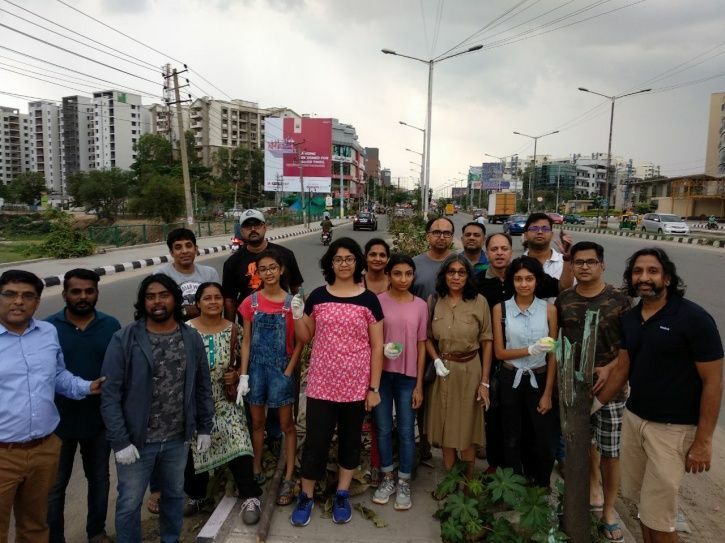 Reacting to the criticism online, the company, Sobha Developers said the cutting down of trees was unfortunate and the company is not connected with it. Hi, the cutting down of trees has been highly unfortunate. 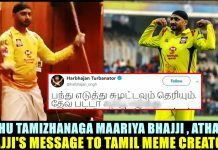 We, being a responsible corporate entity, condemn this. We do not know at this juncture who has cut these trees. SOBHA is not connected with this at all. We are looking into the issue closely & will act suitably. Previous articleDon’t Miss This Hilarious Translation Contest Among Puducherry Ministers Conducted By Kiran Bedi !! : You Can’t See This In Any Other State Of India !! 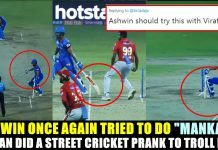 Next articleBIG STATEMENT : Ravi Ashwin Wants His Team Batsmen To Play Like This One CSK Batsman !! 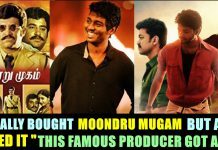 : Check Out Who ! !